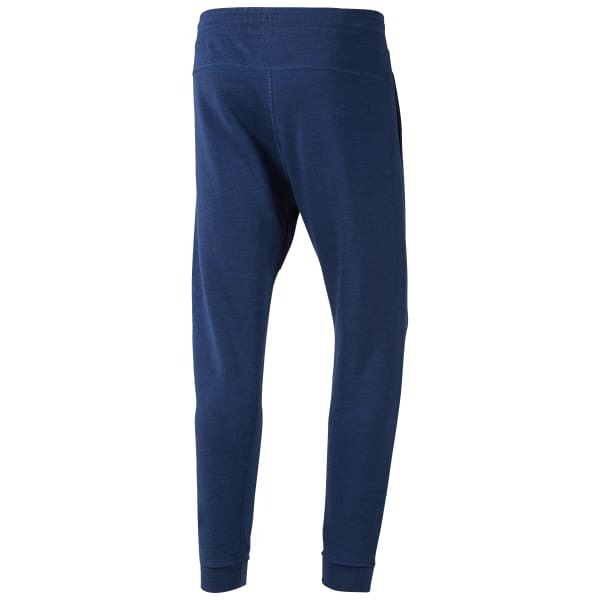 Lounge away your rest day in these comfortable sweatpants made with a soft cosy fleece construction. The marble mélange look gives these pants a lived-in feel. The external draw cord lets you adjust your fit to how you're feeling and the open hand pockets let you store small items. A water based Reebok logo graphic adds a subtle pop of brand recognition while the on-trend jogger silhouette and cuffed hem give a lived-in fashionable look.